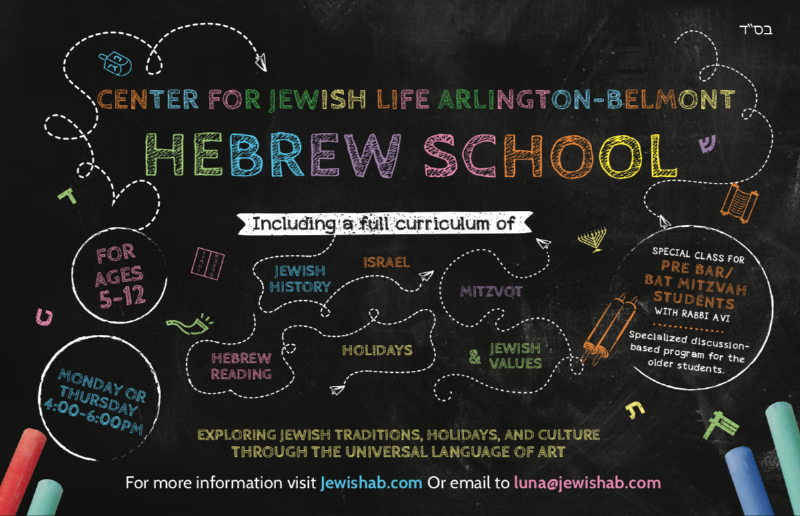 Grade Entering Kindergarden Grade 1 Grade 2 Grade 3 Grade 4 Grade 5 Grade 6 Grade 7 Grade 8 Previous Jewish education? 6th - 8th Grade to meet on Mondays and Thursdays at the same time for more in-depth and discussion based learning. As the parent(s) or legal guardian of the above child/ren, I/we authorize any adult acting on behalf of Chabad Religious School to hospitalize or secure treatment for my/our child/ren, I/we further agree to pay all charges for that care and/or treatment. It is understood that if time and circumstances reasonably permit, Chabad Religious School personnel will try, but are not required, to communicate with me/us prior to such treatment. I/we hereby give permission for my/our child/ren to participate in all school activities, join in class and school trips on and beyond school properties and allow my/our child/ren to be photographed while participating in Hebrew School activities. I/we also understand that all liability and costs resulting from damage to property and/or personal injury caused or attributable to my/our child/children will be my/our responsibility and I/we agree to fully indemnify and save Chabad Religious School and it’s associates, teachers and agents harmless therefrom. I/we consent to Chabad Religious School’s use of our personal information and of our child/children at its discretion in pursuit of school activities. Refunds for children withdrawing from school before the end of the school year will be pro-rated up to February 1 provided that the school office is given 30 days written notice and does not include the registration fee. Tuition refunds will not be granted to children withdrawing from school after February 1. There are no refunds or credits for days missed due to illness, holidays, or family vacations.